For the last three years, museum deputy director of art and programs Theresa Papanikolas has been working as guest curator for Georgia O’Keeffe: Visions of Hawai‘i, opening at the New York Botanical Garden on May 19. With her experience as curator of HoMA’s popular 2013 exhibition Georgia O’Keeffe and Ansel Adams: The Hawai‘i Pictures, she was the perfect candidate to curate this new show. 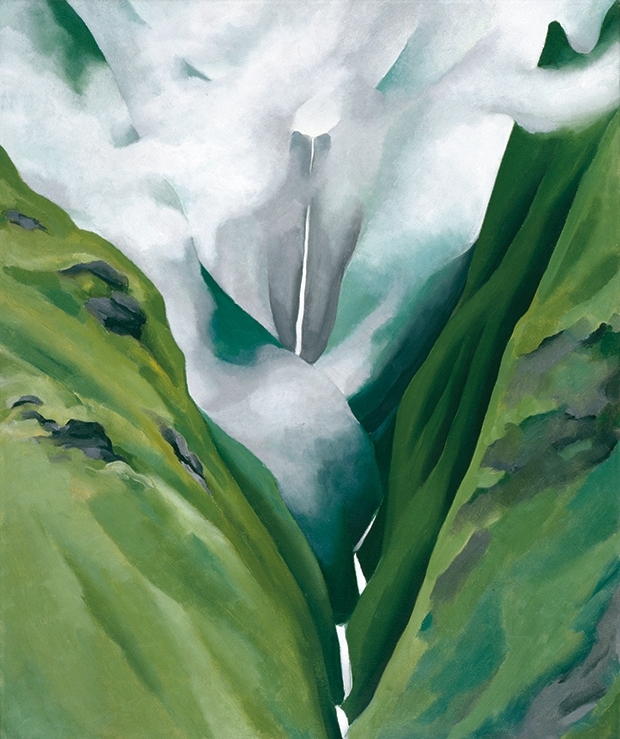 The mounting of this exciting exhibition means the museum’s O’Keeffe paintings, including the three hanging in the Modernism gallery, will be off on a yearlong journey starting at the end of April. Your last day to see these singular depictions of a lush, almost abstract Maui is April 22—Earth Day. And if you plan on being in New York between May 19 and Oct. 28, you have the opportunity to see the museum’s O’Keeffes in a new setting. Georgia O’Keeffe: Visions of Hawai‘i comprises an exhibition of more than 15 of the works O’Keeffe made in 1939 in the islands in the NYBG’s LuEsther T. Mertz Library Art Gallery, as well as a flower show in its Enid A. Haupt Conservatory that evokes the gardens and landscapes that inspired O’Keeffe and tells the complex story of the flora and ecology of the islands. The show is a homecoming of sort for the paintings—they made their public debut in Alfred Stieglitz’s American Place Gallery in Manhattan in 1940. NYBG programming for the show includes an Aloha Nights series that features kapa- and lei-making demos, work by tattoo artist Keone Nunes and designer Manaola Yap, and a poke truck (!). The garden’s walkways will be illuminated by O’Keeffe-inspired lanterns created by Mark Chai. Special tickets for these events are now on sale. The exhibition will travel to the Memphis Brooks Museum of Art. The museum’s O’Keeffe works will return home in March 2019. So get a good look now. Have a good trip and come home safely! Shall we plan on a big party when the come back?